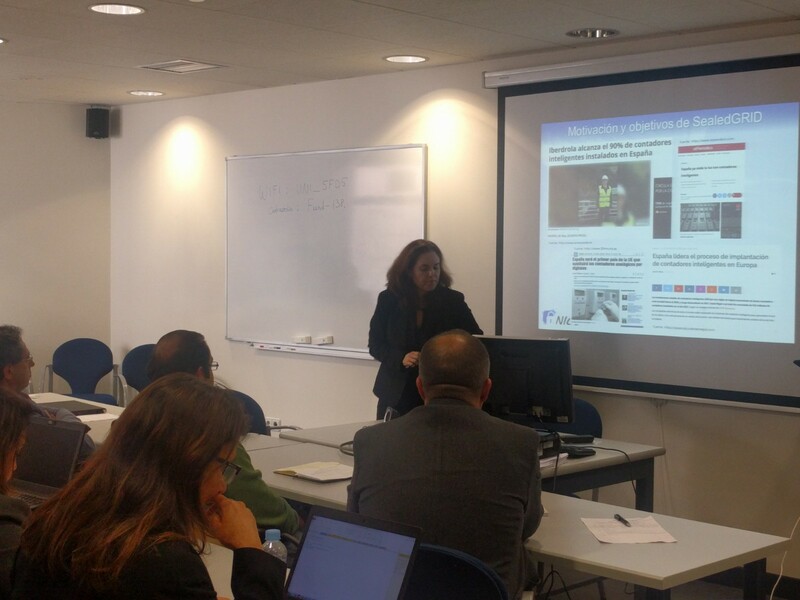 UMA presented the project and its progresses in the Working Group (WG) of SAFETY belonging to PESI (Plataforma Tecnológica Española de Seguridad Industrial) last November 14th 2018. 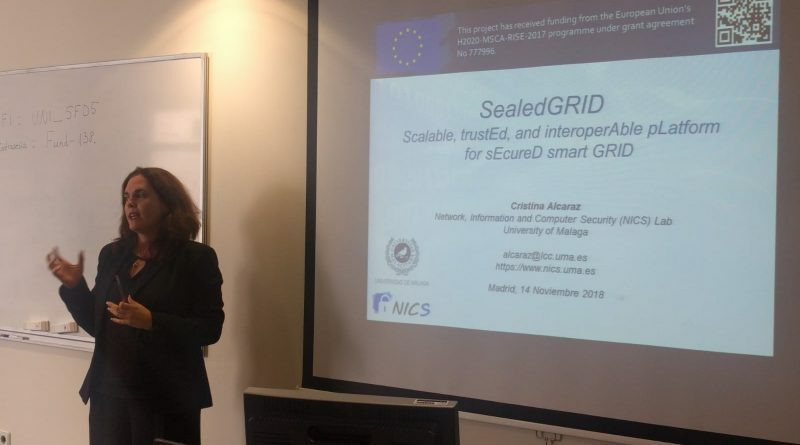 The WG includes a set of experts linked to the industry, government and universities, addressing aspects of resilience, cybersecurity and safety in Critical Infrastructures and Industry 4.0. 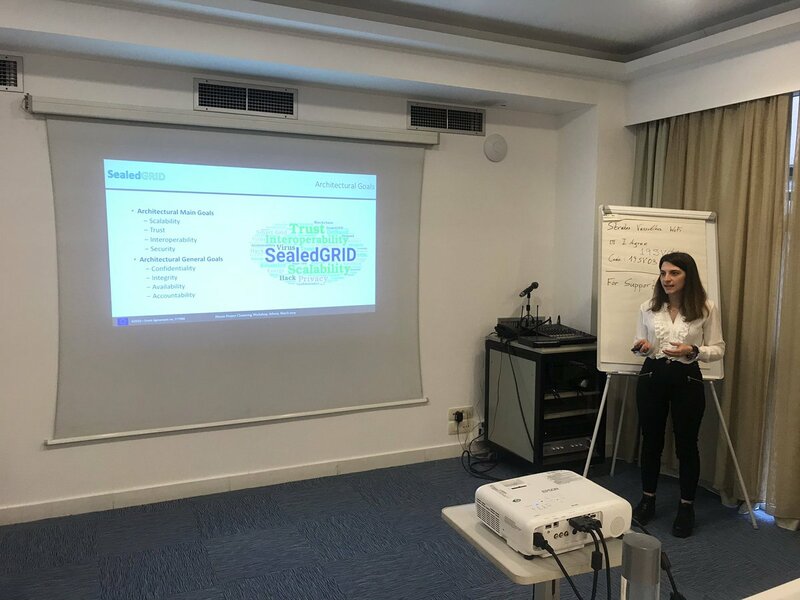 Given that UMA is currently members active in this WG together with another related to Security, C. Alcaraz introduced the project to show the goals of SealedGRID, the problematic to be solved, the progresses carried out and the future actions. Evidence about her intervention is found in the following figures.